HENSOLDT will deliver a total of 20 complete AMPS systems for the military multirole helicopter H145M in 2019/2020. At the moment, HENSOLDT offers AMPS in two standard configurations for different applications. The customers choose the modules of their systems and the number of sensors needed to meet their requirements. The standard modules include MILDS (Missile Launch Detection System), MILDS Block 2 and ACDU (Advanced Control and Display Unit). Moreover, the agreement has provisions for a gradual extension by means of additional equipment. This means that the agreement also creates the general conditions required for extending the systems and functionalities. 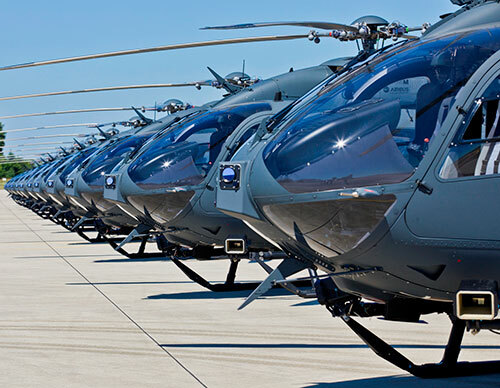 Since the system can theoretically be used on all Airbus Helicopters platforms, the one-off costs will turn out to be much lower for the customer, or such costs may even not be incurred at all. HENSOLDT is a global pioneer of technology and innovation in the area of defence and security electronics. The company is a market leader in civilian and military sensor solutions. It develops new products to counter a wide variety of threats based on disruptive concepts in such fields as big data, robotics and cyber security. With a workforce of some 4,300 employees, HENSOLDT generates revenues of about 1 billion Euros per year.